While being in the state, explore the diverse ancient temples, historical monuments, meandering rivers, striking landscapes, high passes and many more revered places. From honeymooners to leisure travellers every visitor can have an opportunity to discover this holy land. 09 Nights’ accommodation on Twin / Double sharing & Triple (Double Room with Extra mattresses) at the hotels mentioned above or similar. Daily Breakfast & Dinner on fixed Menu. All Arrival/Departure transfers, excursions and sightseeing tours will be by air-conditioned Innova (01-04 Pax) as per itinerary including Road / Toll taxes, Parking fee, Fuel charges, Interstate taxes, Driver Allowances etc. TSI representative for assistance on all arrival and departure transfers. All Currently applicable taxes Except GST 5% extra on total billing. Expense of personal nature like Airfare, Railway Tickets, Bus Fare, tipping, Portage, laundry, and telephone / fax calls, alcoholic beverages, monuments’ fees, medical expenses, any Insurance etc. Services of a Transfer Rep / Local Guide / Monument entrances in any place. Anything else not specifically mentioned under the “Cost Inclusion” column. Once the booking is confirmed – 25% of the tour/service cost. 15 days prior to arrival – 50% of the tour/service cost. 07 days prior to arrival – 75% of the tour/service cost. Meet upon arrival at Amritsar Airport and transfer to hotel and check-in at the hotel. Amritsar is a city in the northern part of India. It is home to the Harmandir Sahib (referred as the Golden Temple to western media), the spiritual and cultural center of the Sikh religion. This important Sikh shrine attracts more visitors than the Taj Mahal. The city boasts of being the main centre of Sikhs’ cultural, religious and political history, it also houses the Sikh temporal and political authority, Akal Takht as well as the Sikh Parliament. Amritsar is also known for the tragically incidents of Jallianwala Bagh Massacre in 1919 under British Rule. The city is known for its rich cuisine and culture. Rest of the day for leisure. Overnight at hotel. Early morning proceed for a visit at Golden temple. Shining in the morning light, the gilded splendor of its paneling and big dome and small minarets, this temple is a fairy world palace to the devotees of the Sikh faith. Continue to visit the Jallianwala Bagh – the historic site where hundreds of innocent Indian men, women and children were massacred by British General Michael Dyer on April 13, 1919. A memorial and Garden have been created here as a national monument. In the afternoon excursion to Wagah, about 28 Kms from Amritsar is the border crossing between India and Pakistan. The changing of the guards and the ceremonial lowering of the flags ceremony is carried out with great pomp. Soldiers from both countries march in perfect drill, going through the steps of bringing down their respective national flags. Return to Amritsar. Overnight at the hotel. Day free for leisure at Mcleodganj. Overnight at the hotel. 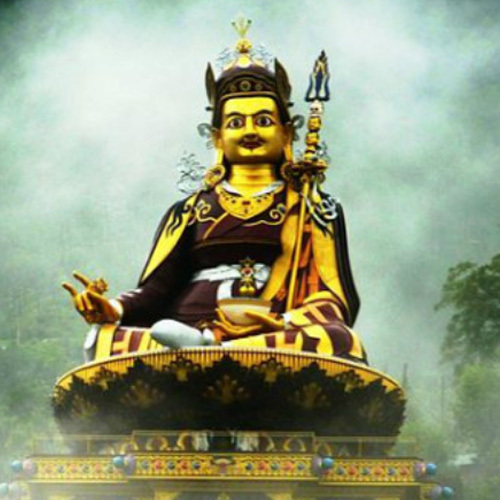 After breakfast at the hotel, proceed for half day sightseeing tour of Dharamshala.. Visit St. John in the Wilderness, State Museum, Karmapa temple, Norbulingka institute. Afternoon visit Mcleodganj local market, Dal Lake, Dalai lama temple, Bhagsu Nag and Naddi village. After breakfast drive to Manali, enroute visiting Baijnath Temple. It is supposed to be the temple where Ravana Worshipped Shiva to gain immortality. After visiting Baijnath proceed by road to Manali, photo stop on the way at Kullu, upon arrival check-in at hotel. Manali a picture-perfect hill resort at an altitude of 1,929 meters situated near the end of the valley on the National Highway leading to Leh. One sees well-defined snow capped peaks, the Beas River with its clear water meanders through the town. Evening at leisure and overnight at the hotel. After breakfast drive to Rohtang Pass (altitude 13,051 ft (3,978 m)/ sub to weather conditions). The pass is open from May to November. 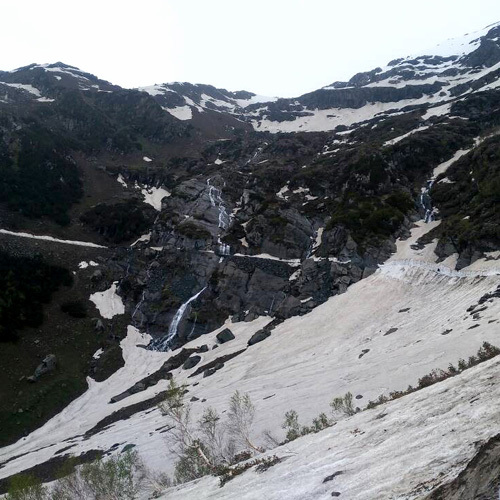 This pass is an ancient trade route between the people on either side of Pir Panjal Afterwards visit the Solang Nala which is a side valley at the top of the Kullu Valley and 14 km northwest of the resort town Manali . Giant slopes of lawn provide it its reputation as a popular ski resort. Day free for leisure. Overnight at the Hotel. After buffet breakfast drive to Naggar, situated on the left bank of river Beas at an altitude of 1851m. Naggar – an ancient town commands extensive views, especially to the North West of the valley. Naggar Castle now turned into a hotel commands a spectacular view of the valley. Also visit the “Nicholas Roerich art Gallery”, an elegant mansion which houses the works of the famous Russian Painter Nicholas Roerich, who had chosen Naggar as his residence when he came to India in 1929. Afternoon arrive Manali and check in at hotel, proceed to visit Vashisht, a small village near Manali famous for its hot water springs, which are said to carry medicinal properties. 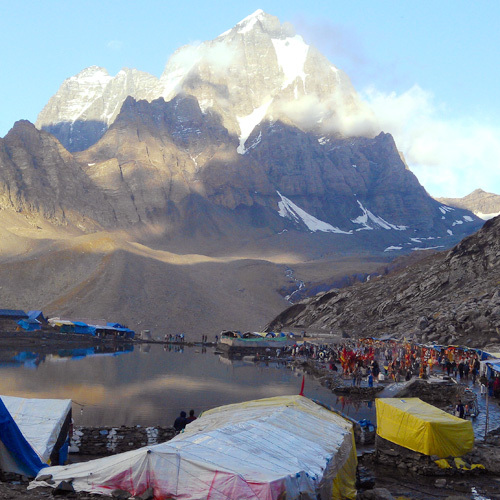 Also visit the famous temple Hadimba Devi or Dhungari temple. The temple is surrounded by a cedar forest at the foot of the Himalayas nd was built in the year 1553. Evening walk down on the Mall, from this central area the town spills downwards, with winding roads. Overnight at the Hotel. After breakfast, drive to Shimla Rewalsar (also called Tso-pema). Rewalsar is located at an altitude of 1360 m above sea level. Lying in the Southern Himalayan belt, winters in Rewalsar can be freezing, while summers are generally pleasant. Rewalsar is sacred to adherents of three major religions – Hinduism, Buddhism and Sikhism. Continue drive to Shimla, the former summer capital of British India and now capital of Himachal Pradesh. Set amidst the snow capped Shivalik mountain ranges it offers some stunning views of the mighty Himalayas. Upon arrival check in at your hotel. 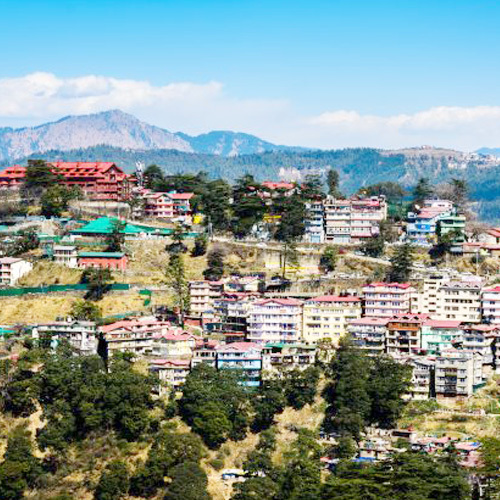 After breakfast proceed for local Shimla sightseeing. Visit Viceregal Lodge, which now houses the Institute of Advanced Studies. Sitting on the flat top of Observatory Hill, this Elizabethan mansion was built in 1888. The grey building still retains its grandeur, with a lion and unicorn guarding the entrance, immaculate lawns and original brass fire hydrants from Manchester. Next visit Jakhu Temple, sitting on top of Jakhu hill at 2,455 metres which is the highest point of the city. Walk down on the Mall, which is the main shopping area of Shimla. Visit Christ Church, which was consecrated in 1857. It is a prominent yellow painted building with a Victorian-Gothic spire. Next to the church is the mock-Tudor Library, built in 1910. Rest of the day for leisure. Overnight at the hotel. Breakfast at the hotel, and drive to Chandigarh airport to board the flight for your onward destination.